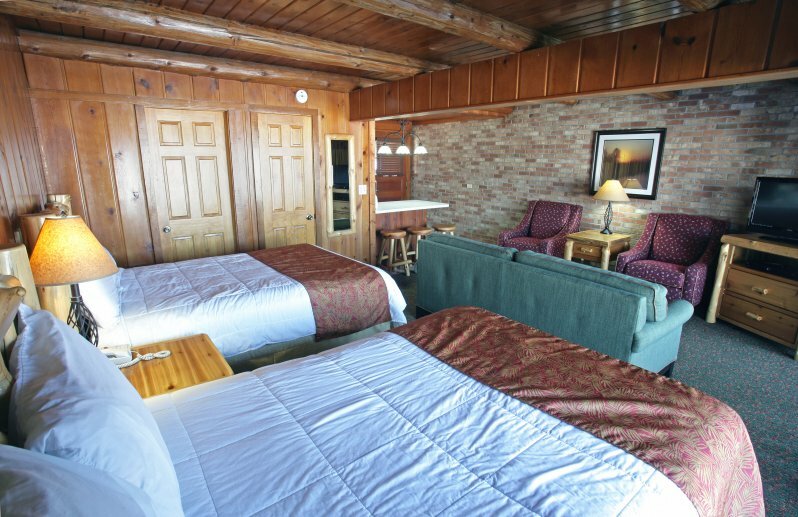 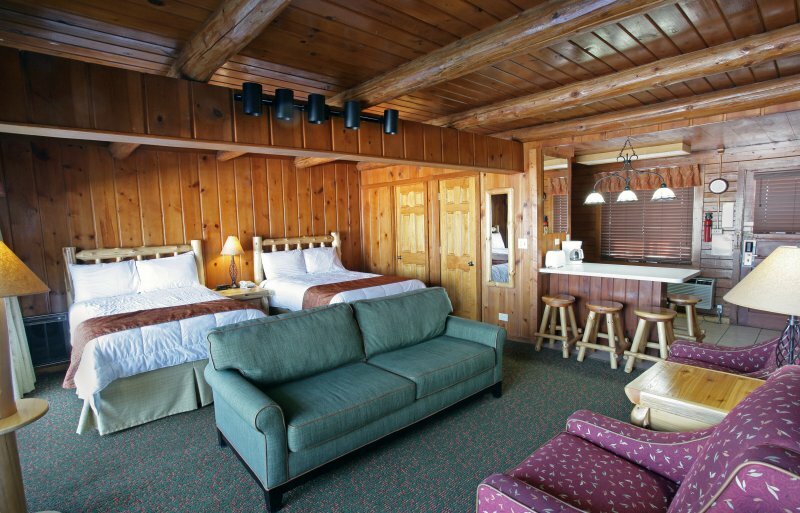 Decorated in knotty pine throughout, our Lodge units best capture the spirit and flavor of the northwoods. 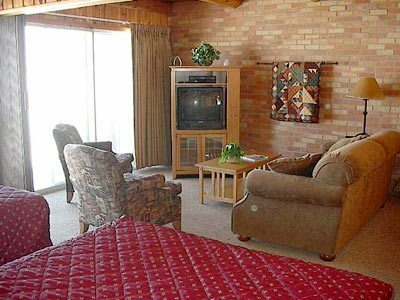 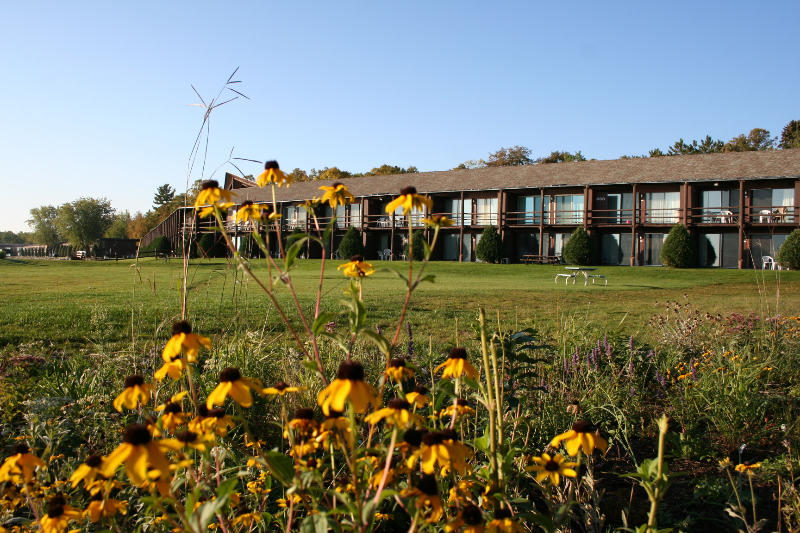 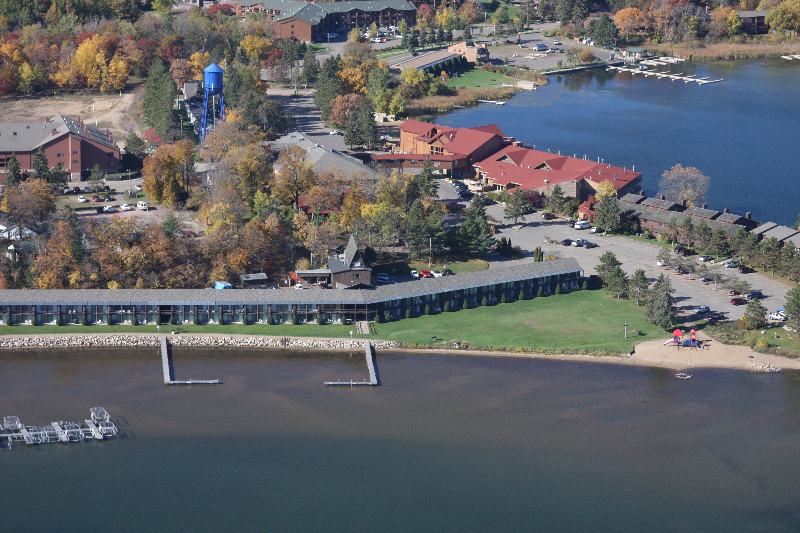 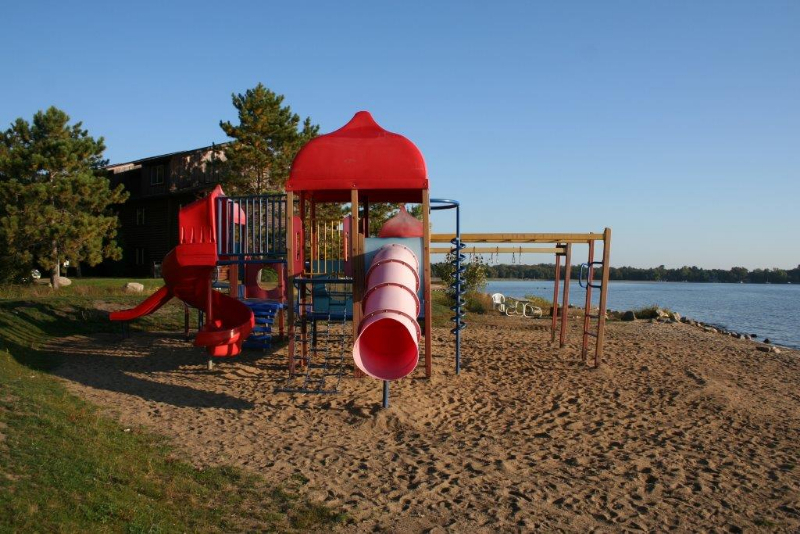 Each unit offers a spectacular, wall-length panorama of Big Pelican Lake, as well as a warm, inviting interior. 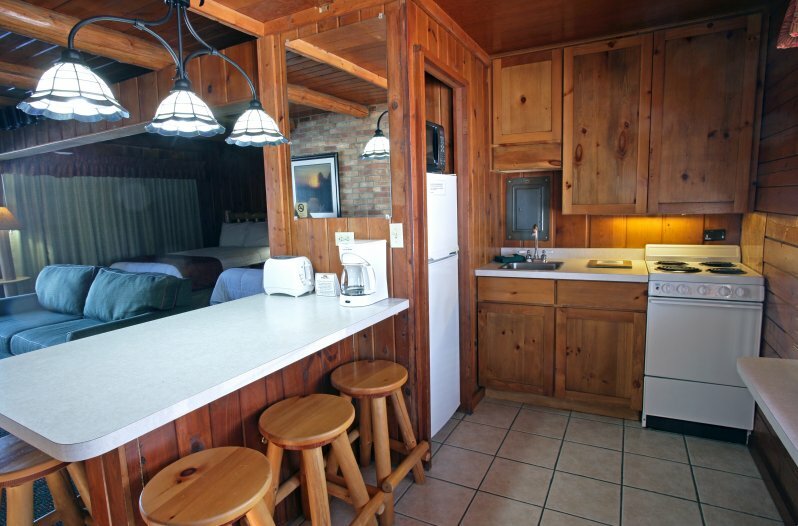 Each unit includes a kitchenette, one bath, and come furnished with combinations of double beds and hideabeds.